This theater was just demolished last week February 25, 2019, a hole where the foundation was is the only thing that remains and will be filled in shortly. 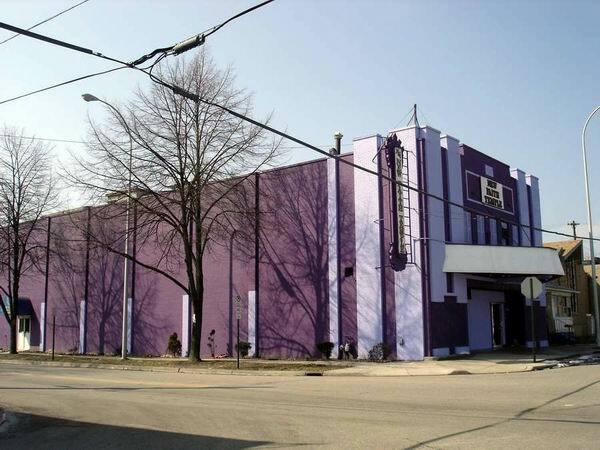 The Majestic was located at 1030 Second Street, Monroe, Mi. 48161. It opened in 1935 and closed in 1967. Seating capacity was 500. It was part of the Denniston Family Chain of Thetres. It is now a church. August 1960 Issue - Rene Germani of the Majestic Theatre in Monroe, one of the few stalwart independents doing his own buying, was in calling at exchanges.